The Association of Respiratory Nurse Specialists (ARNS) and Royal College of Nursing (RCN) have today responded to the publication of COPD: Who cares matters, a review into the care of people with Chronic Obstructive Pulmonary Disease (which includes conditions such as emphysema and bronchitis). The main findings were that many patients with the most severe illness were being well managed, and that progress had been made in providing care to allow patients to be discharged more quickly from hospitals. However, concerns continue about the variability of services and access to specialist care in particular. “As with many long term conditions, COPD symptoms can be distressing and can have a serious impact on the lives and daily activities of people and their families. However, the good news is that with expert support from specialist nurses, these conditions can be managed and quality of life maintained. ARNS welcomes this audit report, which highlights the impact at times of flare-ups for COPD patients. The report highlights that improvements in care have been made but additional process and systems need to be addressed. The respiratory clinical nurse specialists are in a unique position to support this and have a fundamental role in the management and support of patients while in hospital and the community. They provide expert advice and knowledge in many different aspects of COPD care. 2. 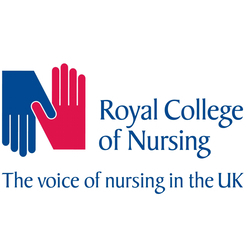 The Royal College of Nursing (RCN) is the voice of nursing across the UK and is the largest professional union of nursing staff in the world. The RCN promotes the interest of nurses and patients on a wide range of issues and helps shape healthcare policy by working closely with the UK Government and other national and international institutions, trade unions, professional bodies and voluntary organisations. 4. Interviews are available from the RCN, ARNS and from nurses working in the field.